Septic tanks are a traditional well established option to be taken into consideration where no mains drainage is available. 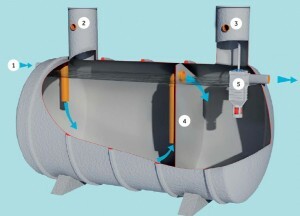 The tanks we supply are constructed from GRP as a singular tank for ease of installation and ongoing operation. Sizes range from 2,800 litres up to 80,000 litres and can be configured for below or above ground installation. Spectrum Engineering Solutions © 2014. All Rights Reserved.